Over the past several years the market for CZ pistols has exploded. 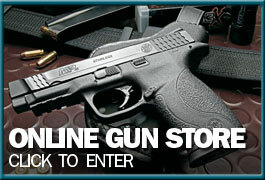 More and more people are choosing CZ firearms for their home defense, target shooting, and competition shooting needs. CZ makes some of the best quality firearms on the market today and the highly anticipated CZ P-10 C, is just like the rest of what CZ puts out, impressive. The gun looks and feels very good for the most part. It does not feel blocky at all but has a very aggressive back strap. The back strap is border line too aggressive for me personally. We’ve had the P-10 C on display at our store for about a week and it seems that about half the people who hold it love the aggressive texture and the other half don’t. It has an ambidextrous magazine catch and slide stop, interchangeable back straps (all have the same texture), and three dot luminescent sights. Now, on to what everyone is raving about, the trigger. With the exception of a few higher end guns i.e. CZ shadow target II, Sig P226 Legion SAO, etc., this is the best stock trigger I’ve felt. It registers right at 4.5 pounds and has a very short reset. There is a tiny bit of creep just before it breaks but because it’s so miniscule I’d be willing to bet it would smooth out after some time on the range. We fired the gun about 2oo times and could still feel the creep afterwards but there have been reports of that going away. We heard the CZ P-10 C should fit in most Glock 19 holsters so we tried it out in a couple. We found that it fits the LAG Tactical but not G-Code OSH. Even though it worked in the LAG Tactical holster it definitely wasn’t a perfect fit and we found that it actually fits in a Glock 17 LAG Tactical holster much better due to the fact that it has a longer barrel than the Glock 19. I know there are a lot of bloggers out there who like to give out advice to manufacturers on what they should or should not have done which can be very annoying. For now you can put me into that group. CZ should have included at least one back strap that isn’t quite as aggressive as the ones it comes with. Sanding down a back strap is an easy fix but there are a lot of people out there who don’t want to modify their guns, however minor the modification may be. Plus, some people have no business trying to modify their guns. See exhibits A, and B below (Google Image Search “gun stipple fail” for more). Shooting the P-10 C is a lot like the, you guessed it, Glock 19 but with slightly less felt recoil. We fired it at 5, 7, 10, and 15 yards. Below are pictures of the groups that we got. We are shooting at a printed 8.5×11 piece of paper. As you already know the main competition is the Glock 19 so here are some comparison pictures. So is the P-10 C the “Glock killer”? Based on what I see (price point, accuracy, trigger, ergonomics, etc.) it’s the closest thing to a Glock killer that I’ve put my hands on. However, in my opinion CZ will never be able to keep up with the production required to earn this title and Glock has a bit of a cult like following that is far from dying. For some it will be and some it won’t. As for me, it will not replace my G19 but if it was an option when I purchased mine I could very well be carrying a P-10 C rather than the Glock 19. Personally, I wish the CZ P-10 C was a touch smaller than it is. They call it a compact but it’s slightly larger than a Glock 19 and for me personally, the Glock 19 is border line too big for every day carry. If I had to nit-pick, the back strap is a bit aggressive and the trigger has a tiny bit of creep before it breaks. But so far the P-10 C appears to be one of the best options available for a double stacked “compact” 9mm that I’ve shot. It has the best stock trigger of any gun in its class, its form fitting to the hand, accurate, and sells for under $500. CZ has nailed it with the P-10 C and I have no doubt that we will sell a ton of these guns. If you’re in the market for a double stacked 9mm handgun you should absolutely put this one on the list to look at, if you can find it. If you would like to be put on our waiting list for the P-10 C give us a call (919) 803-4605 or send us an email with your name and phone number to info@carolinagunrunners.com.